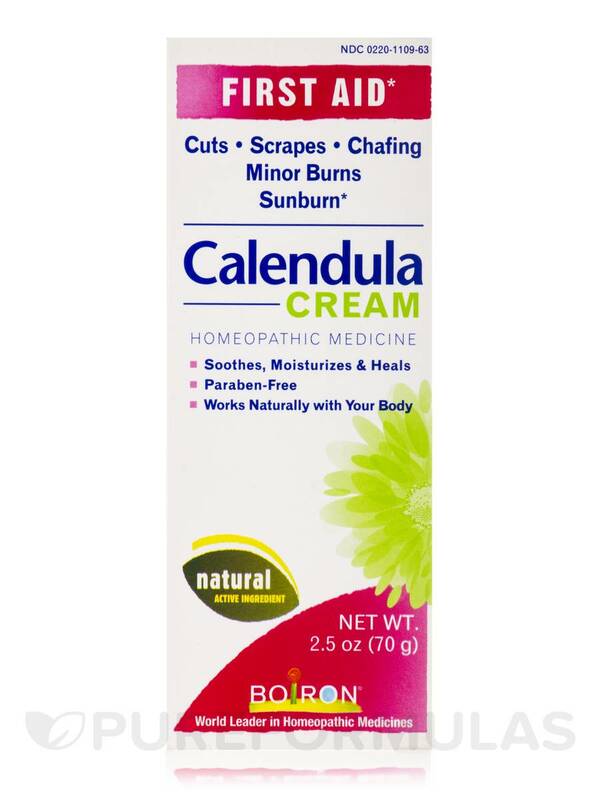 I've used Calendula Cream by Boiron to help heal a large elbow scrape and sunburns. 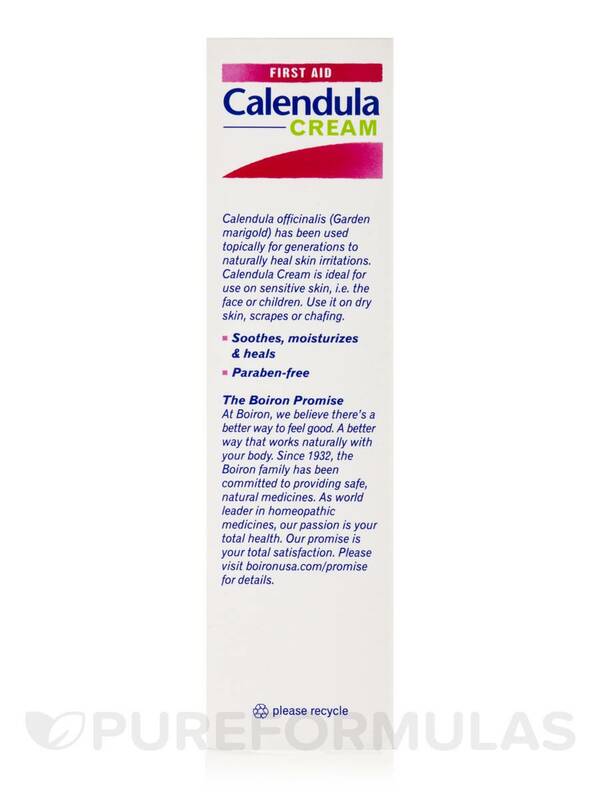 Calendula Cream by Boiron works well over night to heal dry lips due to outside activities. Naturally heal skin irritations with Calendula Cream. It helps promote the healing of cuts‚ scrapes‚ chafing‚ minor burns and sunburn. The moisturizing texture of Calendula Cream makes it ideal for use on dry or chafed skin. It has no artificial colors or perfumes. 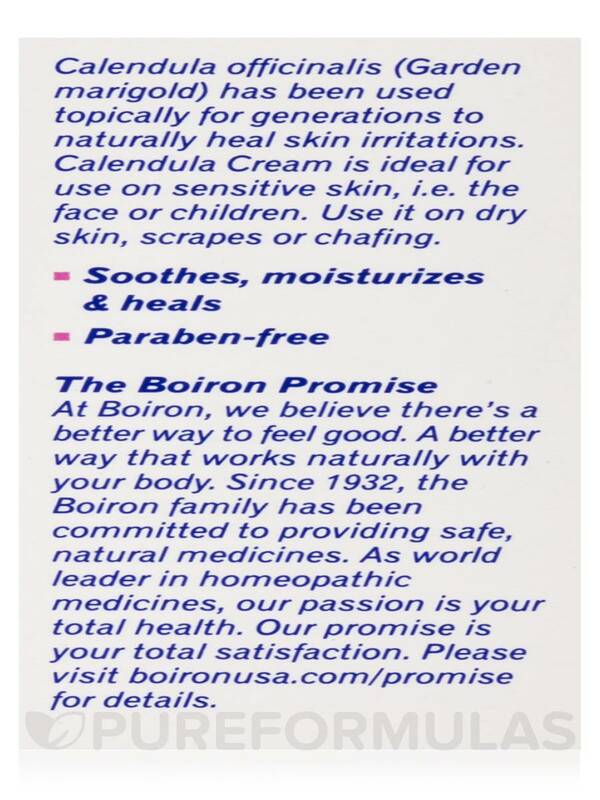 - Helps promote healing of cuts‚ scrapes‚ chafing‚ minor burns and sunburn. 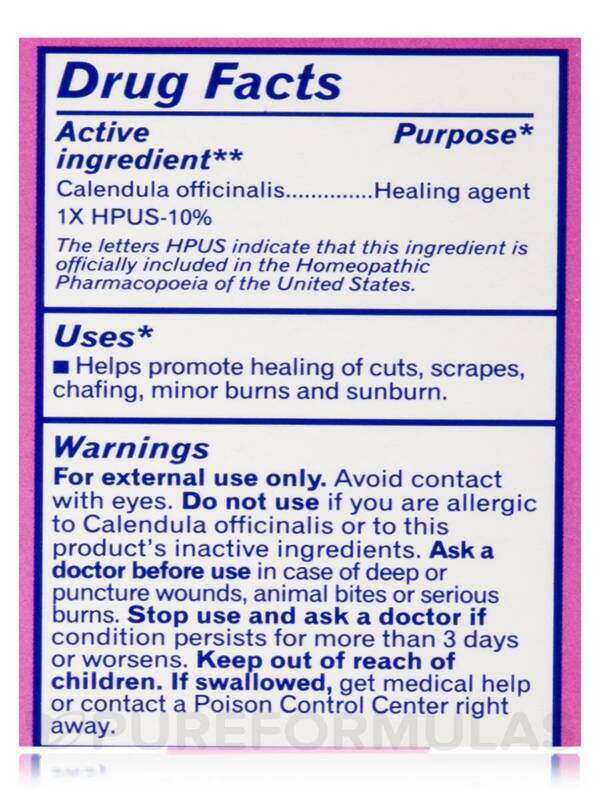 Calendula Officinalis 1X HPUS-10% / Healing agent. 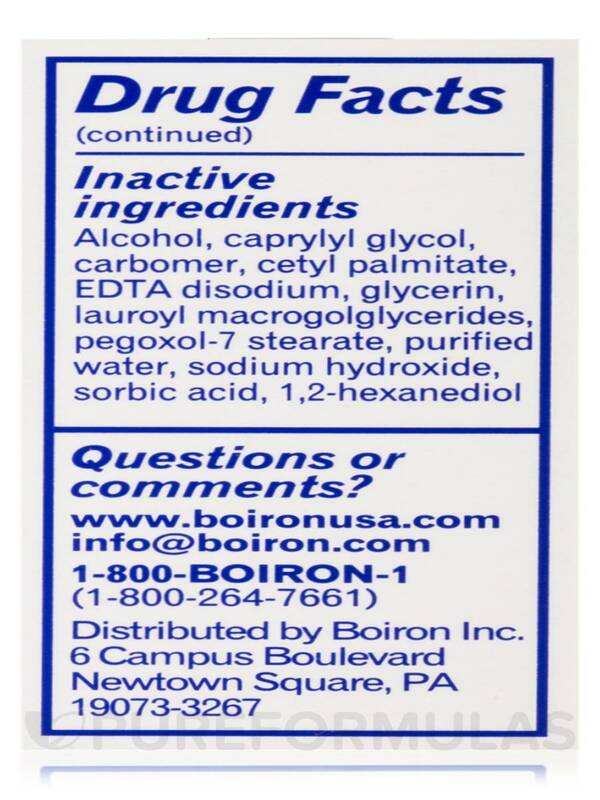 Inactive Ingredients: Alcohol‚ caprylyl glycol‚ carbomer‚ cetyl palmitate‚ EDTA disodium‚ glycerin‚ lauroyl macrogoglycerides‚ pegoxol-7 stearate‚ purified water‚ sodium hydroxide‚ sorbic acid‚ 1-2‚-hexanediol. For minor burns‚ immediately run cool water on the burn for several minutes and dry. For scrapes‚ skin irritations and sunburn‚ first cleanse the area with mild soap‚ rinse and dry. Then apply a thin layer of Calendula Cream to affected area 3 times a day or as needed. For external use only. Avoid contact with eyes. 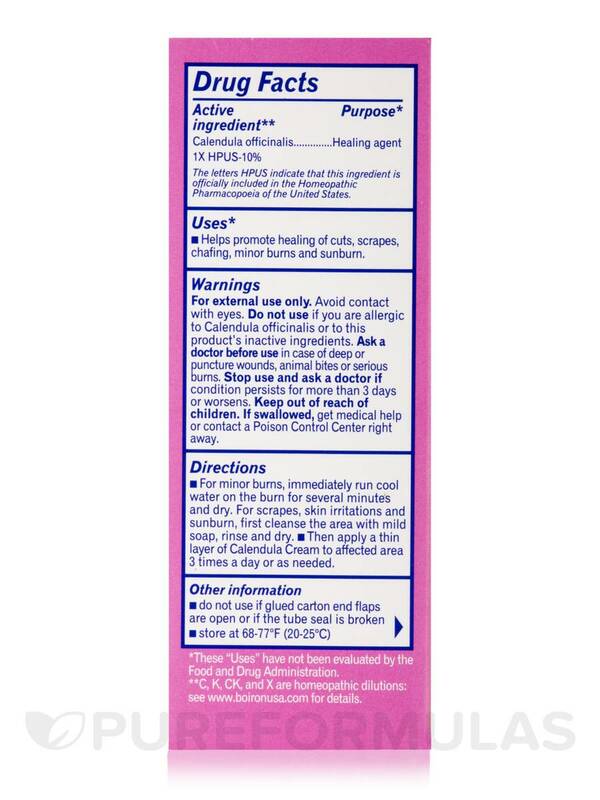 Do not use if you are allergic to Calendula officinalis or to any of this product's inactive ingredients. Ask a doctor before use in case of deep or puncture wounds‚ animal bites or serious burns. Stop use and ask a doctor if condition persists for more than 3 days or worsens. Keep out of reach of children. If swallowed‚ get medical help or contact a Poison Control Center right away. Do not use if glued carton end flaps are open or if the tube seal is broken. Store at 68-77°F (20-25°C). Best first aid - skin cream ever! This is a staple in our wellness cabinet. Absorbs quickly, no strange smell, heals like nothing else! I had chapped lips and and a uncomfortably dry skin from working outside in the heat and wind , so I decided to use this all over my face and lips. Voila, everything was better the next morning, and my skin felt moisturized. 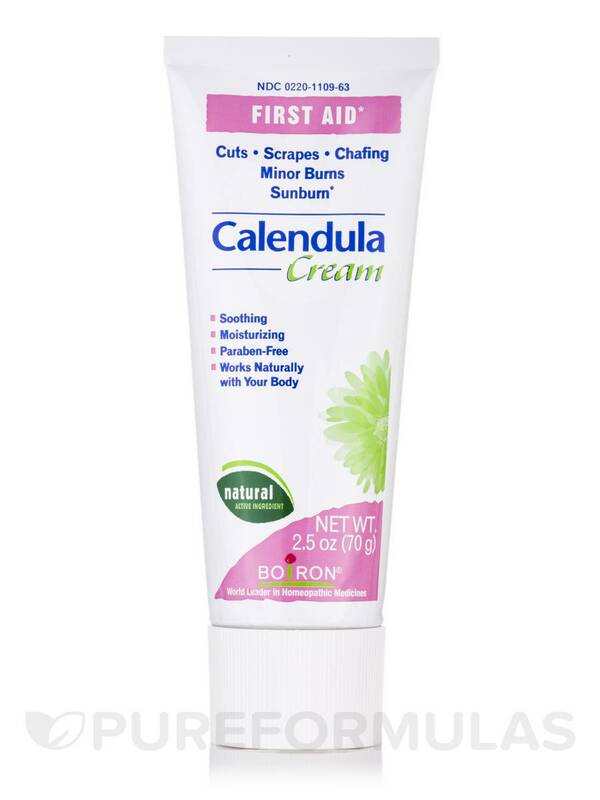 I incorrectly assumed Calendula Cream by Boiron was pure calendula cream. However, among other things, it contains alcohol. Rather than soothing my skin rash, it irritated it. I wanted the cream so it wouldn't be sticky. I went back and used my pure calendula ointment instead. Next time I will read the ingredients more thoroughly. It irritated my sensitive skin. I have been battling with cold sores and chapped lips. No matter what I tried it was making it worse! Using blistex helped a little but still didn't cut it after using it for weeks and then carmax I reacted negatively too. I thought I would try Calendula Cream by Boiron because it was on sale and oh my gosh. Within a short few hours my lips are were almost healed. I have used this for one whole day and already my lips are healed and the cold sore is pretty much gone. I know by tonight or tomorrow morning I'll have no issues what so ever. Such a blessing!! 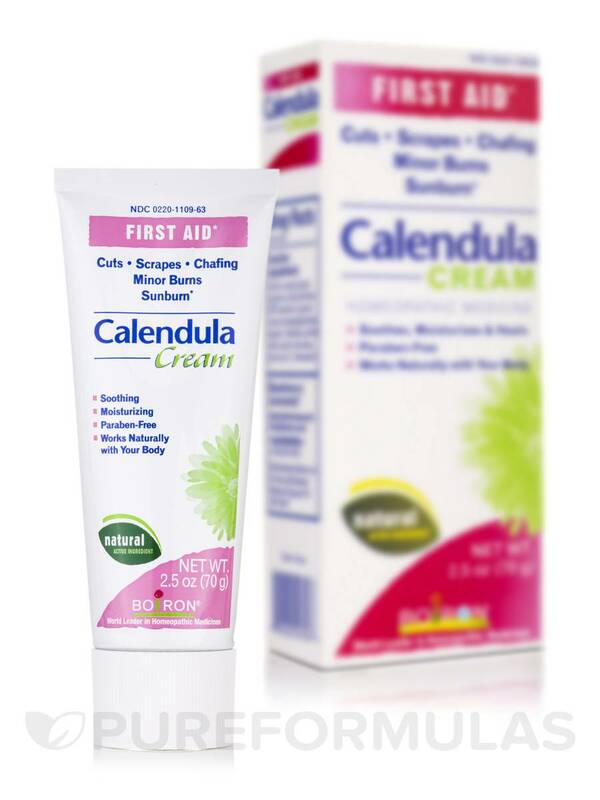 Calendula Cream by Boiron works well in healing damaged skin! 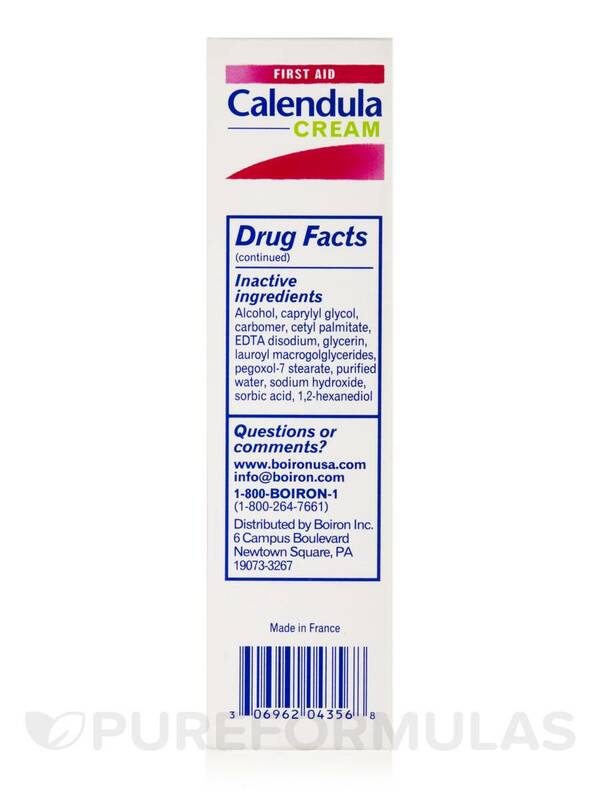 As recommended by my doctor, I used Calendula Cream by Boiron several times a day during lengthy radiation treatments. I credit it with keeping my skin in the "ok" zone. Creamy, not greasy and no unpleasant scent. Goes on well; not greasy; pleasant scent. Soothing Relief for cracked skin! Winter has been hard on my hands; they crack and bleed if not tended to rigorously and consistently. I have several creams I use on my hands under gloves at night, including lanolin and shea butter, and I put calendula on the cracks before using the other products. Calendula Cream by Boiron is a bit spendy, so it's nice that I don't have to use much each time. I find the product instantly soothes my weary hands. Instant relief on cracked skin of hands. I sense that putting this on first before other creams helps start the healing process. Good for most skin issues. 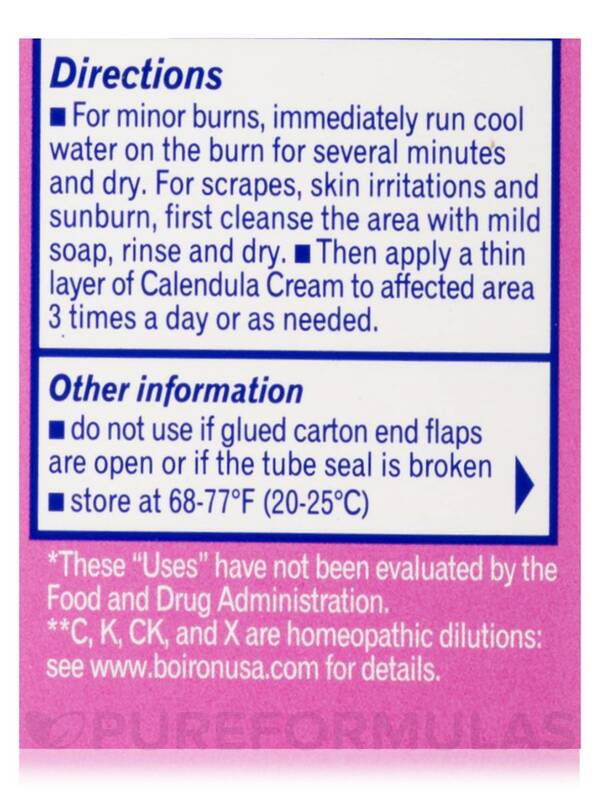 I keep Calendula Cream (First Aid) vertical by Boiron on hand as it seems to help most skin issues. My doctor recommended it. Good and has helped with all my skin issues. I dislike nothing about it.